Despite spending $287 million on a 6-year-long “optimism” program for soldiers, the results show that soldier morale is at an extreme low. Instead of finding ways to combat the pessimism in its ranks, the Army just lowered the threshold for what is considered a “positive” result. Data compiled throughout the last year via online testing done by the Comprehensive Soldier and Family Fitness program shows that more than half — 403,654 of the roughly 770,000 soldiers tested — scored poorly in the optimism section, which asked soldiers to agree or disagree with statements such as "I rarely count on good things happening to me." Only 14% indicated they are eating healthy and getting enough rest, and 48% reported having little satisfaction or commitment to their jobs. "The Army funds this program because the Army values the lives of soldiers and wants to instill skills and competencies that will enhance their connections, relationships and ability to mitigate stressors and exercise help seeking behaviors through their life," said a statement released by the Army last month. According to a RAND survey published online on April 7, chaplains who are part of the Army’s first line of defense against suicide asserted that they need more training on how to prevent soldiers from taking their own lives. 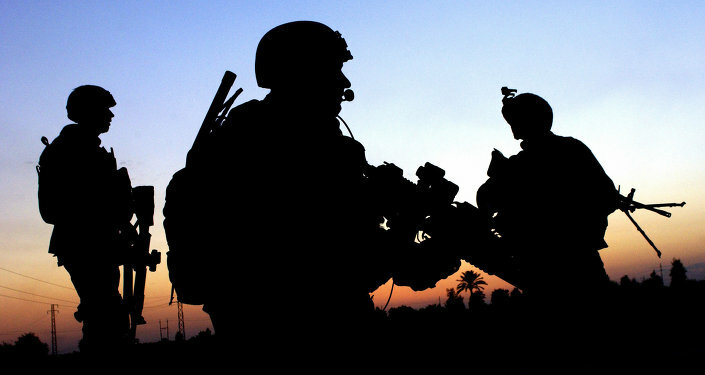 Due to confidentiality issues, roughly half stated that they would be reluctant to alert someone about a suicidal soldier, and roughly one third stated that they would not call a crisis hotline. Most of the survey’s participants stated that soldiers are often discouraged from seeking help out of concern that they would be seen differently by their peers. The positive psychology program, which launched in 2009, at a cost of over $50 million a year, has been heavily criticized by experts who concluded that there is little to no evidence that it prevents mental illness. The panel of experts, consisting of scientists from the National Academy of Sciences as well as The Institute of Medicine, even went so far as to state that the program could do more harm than good by giving the soldiers a false sense of resiliency. Other results obtained by USA Today include the rather unsettling news that 72% of soldiers do not feel good about what they do and 40% do not trust their immediate supervisor or fellow soldiers or didn’t feel respected or valued. After being approached by USA Today with the numbers, Sharyn Saunders, chief of the Army Resiliency Directorate that produced the data, claimed that the formulas for testing are “obsolete.” The army then went and calculated new findings, but lowered the threshold for a positive result. Instead of actually finding a way to make the program better and increase the happiness and overall well-being of those that the government sends overseas to risk their lives, they just lowered the bar on what constitutes well-being. The magical threshold change now reports that only 9% of 704,000 scored poorly in optimism instead of 52%, without having to change the program at all. It is unclear whether their manipulation of numbers has changed the lives of any of the soldiers they claim to value, or if setting the bar for optimism lower will save any of the 135 active-duty soldiers who commit suicide every year or 22 veterans who take their own life every single day.